Do you have Tailbone Pain and need relief? Do you have TAILBONE PAIN? Does someone you know have TAILBONE PAIN? TAILBONE PAIN is also called coccyx pain, or coccydynia. TAILBONE PAIN can often be severe and it can persist for years. TAILBONE PAIN is often very frustrating for patients, especially if the patients and their doctors do not know how best to treat it. 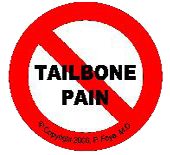 TAILBONE PAIN often compromises the quality of life for the patient and their family. Good News: Help is available! 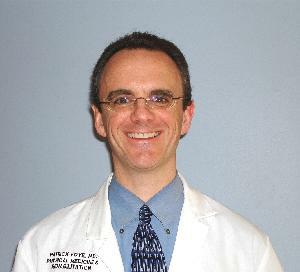 Dr. Patrick Foye, M.D. 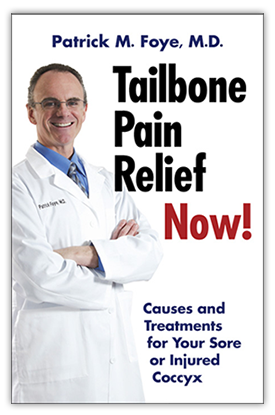 is a Physician (M.D., medical doctor), a medical school Professor, and an expert at treating tailbone pain. He uses a compassionate, thorough approach to evaluating and treating tailbone pain, without surgery. Dr. Foye has many years of experience treating patients with tailbone pain. He has published impressive results within the medical literature. Dr. Foye is Director of the “Coccyx Pain Center” at New Jersey Medical School, which is part of Rutgers, The State University of New Jersey. His medical office is accessible by driving from New Jersey, New York, Pennsylvania, Connecticut, Delaware, Maryland (NJ, NY, NYC, PA, CT, DE, MD). The office is just 15 minutes drive from Newark Airport, so many people with tailbone pain fly in from distant states and other countries. Tailbone injuries from sports (skateboarding, skiing, snowboarding, roller skating, football, basketball, etc.). Advice regarding coccyx removal surgery (coccygectomy), e.g. as a non-surgeon providing a second opinion in patients previously told that they require surgery. Referral to surgery if truly needed. If you or someone you know is suffering from Tailbone Pain, you deserve to be seen by a caring physician with expertise in evaluating and treating this condition. National Managing Editor, eMedicine, PM&R division. Dr. Foye will send you occasional emails so that you can stay up to date on developments in the evaluation and treatment of tailbone pain. If you have TAILBONE PAIN and want to be seen by Dr. Foye: Click the PDF icon on the left, then Print the paperwork. Fill out the paperwork and then Fax (or mail) it to Dr. Foye's office. Then they will call you to schedule an appointment for you to be seen.